Palestinians noticed, but did not remember their smiles as being disparaging or arrogant. On the contrary. The Palestinians regarded the smiles as a rare moment in which two Israelis – and not just any Israelis, but military judges – realized how ridiculous the situation was. There were three other Israelis present, who held back their cries as they watched the boy enter, faltering – the chains around his legs clanging against each other, the prisons service coat he wore much too big for him. These three women, of their own accord, go regularly to the caravans that house the Ofer military tribunal and take notes. Were it not for these three women, who eventually shared his story, Bassam would have become yet another hidden detail of a non-event. A non-event of the sort that takes place countless times, all the time. Without those non-events, it is impossible to comprehend what life is like under hostile rule. This particular non-event began with Bassam (not his real name), who lives in a village west of Ramallah, deciding to visit his aunt who lives in another village 14 kilometers away. It took place in the afternoon hours of Monday, December 21, 2009. Bassam’s home is some 10 kilometers north of Route 443 and his aunt’s home to the south. A narrow, winding path links the villages located along the way. Bassam took two taxis, then began walking the rest of the way. At the suggestion of another boy he met on the path, he took a shortcut through a valley and headed for the little tunnel that runs below the road which is closed off to Palestinians, but built on their land. soldiers popped out from in between the olive trees. According to the boy, they called him over, saying “Come, come.” “I was afraid and fled,” Bassam says. But the soldiers grabbed him. He noticed there were two jeeps nearby. “They boxed me a little on my ears, covered my eyes and put plastic handcuffs on my wrists. Then they lifted me and threw me into a jeep,” he says. An Arabic speaker, he says, told him: “If they ask you, say that you threw stones.” “I was so afraid that I did not think about anything,” Bassam says two weeks later, at home. asked me if I had had any operations and I said no. Then they covered my eyes again, handcuffed me and we went off,” he says. By then it was already dark; they next arrived at the Ofer Prison. In the Prison Service records, Bassam is registered as prisoner number 1336183. The inmates in the cell he was taken to immediately calmed him down, gave him something to eat, and explained that he would appear in court the next day. “I knew about Shabak [the Shin Bet security service] but I didn’t know what the court was,” he says. Iyad Misk, an attorney with DCI (Defence for Children International), spotted Bassam, whom he did not know, huddled among the other prisoners. When the judge, Major Shimon Leibo, entered, Misk thought Bassam didn’t realize he had to stand. “Get up, get up,” he said in a stage whisper from the attorney’s stand. Bassam stared at him in amazement. “But I am standing,” he said. Judge Leibo heard, looked and began to smile. Misk explained that the suspect did not have NIS 1,500 (approximately one and a half times a Palestinian worker’s monthly wage), and that his family members were not present and apparently did not even know where he was. In what sounded like a suppressed reprimand, the judge said that not enough had been done to inform the boy’s family about the arrest, and ordered that Bassam be released after NIS 500 was deposited. Misk who believed the police should have immediately released the boy the previous day, when the soldiers brought him to the police interrogator – was prepared to pay out of his own pocket, but the offices where the payment was to be made were already shut. Meanwhile, Bassam’s parents were beside themselves with worry. When he did not return home in the morning from his aunt’s home, they started searching for him throughout the surrounding areas in the orchards, at the checkpoints, on the roads, at army posts. “I walked through the mountains looking for him and crying,” his father, who is a welder, recalls. In the evening, one of Misk’s friends found the father and informed him that Bassam would be spending a second night in detention. The following day, December 23, the father appeared at the military tribunal. reduced the amount of the deposit to NIS 200, along with a guarantee that his son would appear in court if and when a charge sheet is brought against him. As long as there is no indictment, no one will know what the soldiers who took in Bassam are claiming. It is their word against the word of a Palestinian boy. Palestinians and foreign activists have torn down segments of Israel’s separation wall in a demonstration marking the 20th anniversary of the fall of the Berlin Wall. In the town of Qalandiya in the occupied West Bank, a group of masked activists using a lorry pulled down a two-metre cement block before Israeli security forces confronted them with tear gas grenades. Protesters were wearing shirts with the text “Jerusalem we are coming”, which was the slogan for the protest. Abdullah Abu Rahma, leader of the People’s Campaign to Fight the Wall, said: “Today we commemorate 20 years since the fall of the Berlin Wall. Activists have vowed to hold a week of protests in the Palestinian territories and around the world, including a campaign calling for the release of all anti-wall activists currently imprisoned. Last Friday, Palestinian youths almost toppled a segment of wall using a hydraulic car-jack in the West Bank village of Nilin. Protests against the wall have become a regular event in Nilin and in the nearby village of Bilin, where Palestinian, international and Israeli activists are commonly confronted by tear gas and rubber bullets fired by Israeli troops. Israel began building its barrier, consisting of fences and walls, in 2002, citing security reasons. The wall is up to 8m high in places, twice the height of the former Berlin wall. Palestinian sources anticipate that it may be more than 750km-long when construction is finished, more than four times the length of the Berlin wall. Palestinians say the route of the wall has been set in such a way that it grabs land that could have been included in a future Palestinian state. The International Court of Justice, in a non-binding decision in 2004, said the Israeli-built barrier was illegal and should be taken down because it crossed into occupied territory. A report by Stop the Wall, a Palestinian coalition of NGOs opposed to the wall, said that in 2007 alone, Israel demolished more than 160 houses and appropriated more than 3sq km of land in the Palestinian West Bank in its construction of the wall. Israel is quietly extending its control over East Jerusalem in alliance with rightwing Jewish settler groups, by developing parks and tourist sites that would bring a “drastic change of the status quo in the city”, according to two Israeli groups. Ir Amin, a group working for a shared Jerusalem, said the purpose of the “confidential” plan was to link up several areas of East Jerusalem surrounding the Old City with the goal of asserting Israeli control and strengthening its claim to Jerusalem as its capital city. Israel captured East Jerusalem in 1967 and later annexed it, a move not recognised by the international community. The accounts come ahead of the visit of Pope Benedict XVI, who arrives in Jerusalem tomorrow for a week-long pilgrimage, during which he is likely to hear detailed concerns from Palestinians over their future in Jerusalem and the West Bank. Under an eight-year plan, worth 75m shekels a year (£12m), a series of nine national parks, trails and tourist sites based on apparent Jewish historical spots would be established, most under the control of settler groups working together with the Israeli government. The sites would also create a link to Jewish settlements in East Jerusalem and the West Bank. The parks would be a “biblical playground” built on public and private land and would be fenced in, the group said. “This act will limit the possibility of territorial compromise in Jerusalem to its northern and southern parts only, outside of areas surrounding the Old City,” said Daniel Seidemann, an Israeli lawyer and founder of Ir Amin. He said the programme was supported by the Israeli prime minister’s office and was being conducted without any public debate or transparency. “This policy fans the flames of the conflict and threatens to change it from a national conflict that can be controlled and solved, into a pointless regional confrontation,” Seidemann said. Both Israel and the Palestinians claim Jerusalem as their capital. Palestinians, who live in the east, make up a third of the city’s population. Peace Now, another Israeli group, released similar information about the plan, based on a government budget document, saying it feared the proposal was “possibly preventing the ability to reach a two-state solution”. An Israeli government official told AP the new development was to benefit all Jerusalem. “The government will continue to develop Jerusalem, development that will benefit all of Jerusalem’s diverse population and respect the different faiths and communities that together make Jerusalem such a special city,” the official said. The T-shirts were worn by some Israeli Defense Force soldiers to mark the end of basic training and other military courses, the newspaper Haaretz said. The appearance of the T-shirts followed allegations of misconduct by Israeli troops during the three-week Gaza war. Palestinian officials say about 1,400 Palestinians were killed, most of them civilians. Thirteen Israelis died, three of them civilians. The army said it would not tolerate the T-shirts and would take disciplinary action against the soldiers involved, although it was not clear how many wore the shirts or how widely they were distributed. They were not manufactured or sanctioned by the military. 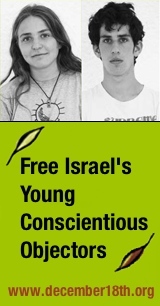 The shirts’ existence was first reported Friday by Haaretz and later on broadcasts by Israeli radio and television. Haaretz showed pictures of five shirts and said they were made at the unit level – indicating that they were made for small numbers of troops, perhaps several dozen at a time. It said they were worn by an unknown number of enlisted men in different units. The Tel Aviv factory that made many of the shirts, Adiv, refused to comment. Hamas-controlled media consistently glorify attacks on Israelis, and cartoons in Palestinian newspapers frequently use anti-Semitic images of Jews as hook-nosed, black-hatted characters. Hamas also mocked Israeli suffering, staging a play about its capture of an Israeli soldier in which it makes fun of the serviceman crying for his mother and father. Israel’s military has come under increasing scrutiny after soldiers alleged that some troops opened fire hastily and killed Palestinian civilians during the Gaza war, including children, possibly because they believed they would not be held accountable under relaxed open-fire regulations. The military has ordered a criminal inquiry into soldiers’ accounts published in a military institute’s newsletter. On Monday, the military chief of staff, Lt. Gen. Gabi Ashkenazi, defended his troops. The Gaza offensive, launched to end years of rocket fire at Israeli towns, ended Jan. 18. The alleged killer of an Arab taxi driver who was stabbed to death in Tel Aviv in 2007 is unfit to stand trial, the Tel Aviv District Court ruled after reviewing the results of the suspect’s psychiatric evaluation Thursday. Julian Soufir, a 26-year-old Jewish immigrant from France, confessed to killing Taysir Karaki, 35, from Beit Hanina, north of the capital. Police said their investigation revealed that Soufir, whose family lives in Netanya, went to Jerusalem in May 2007 to find an Arab taxi driver to murder. Several months ago the court rejected the state’s request that Soufir’s mental health be evaluated by a special panel of experts. Members of Karaki’s family protested Thursday’s decision, noting Soufir’s confession. In it’s decision, the court said that Soufir displayed mental health problems as early when he was 14, in France, when he would carry around a knife, threatening to kill anyone who threatened to harm him or his mother. Speculations regarding Soufir’s mental state began after he exhibited seemingly irrational behavior during his first appearance in court. Soufir, who had recently become religious, appeared in court without a head covering and continued to make faces and clap his hands, sticking out his tongue at reporters. Police discovered the murder almost by chance after they stopped Soufir and his brother while they were walking down the middle of a Tel Aviv street early in the morning in May 2007. Soufir confessed to the murder as soon as police asked him for identification. Police said the victim’s throat had been slit a few hours before the body was found. JERUSALEM – There is a new wall in the downtown heart of the Holy City. It is, in fact, a new security fence. It is not tall, nor built to last. But the wall, and what it protects, may do more to undermine Israel’s moral claims to Jerusalem than the huge concrete structure that has marred the city’s Arab eastern half for years. There is no sign on the wall. There is no explanation for the need of a uniformed guard posted at its entrance. There is no indication, therefore, that it protects construction on a quarter-billion dollar monument to insensitivity. It is a testament, as well, to the principle that Israel’s only reliable natural resource is irony. The walled area is a construction site where a Los Angeles-based Jewish human rights organization dedicated to instilling the lessons of the Holocaust and combating hatred, is building a Museum of Tolerance and Center for Human Dignity atop an ancient Muslim cemetery. No one disputes that Jerusalem is in dire need of tolerance and human dignity. Rabbi Hier was surely right to set that as his goal. But when the Wiesenthal Center originally chose the Mamilla cemetery site from a range of locations offered, it was wrong. And late last month, when the Supreme Court gave a green light to the project, and Rabbi Hier responded that “Moderation and tolerance have prevailed,” he was dead wrong. In 2006, less than two years after Rabbi Hier, California Governor Arnold Schwarzenegger, architect Frank Gehry and much of the Israeli cabinet broke ground on the Museum of Tolerance site, construction was abruptly ? and correctly – halted. Workers excavating the site had struck bones. At that point, the Wiesenthal Center, mindful of its stated mission, should have immediately begun a search for an alternative site for the museum. Instead, it spent a fortune in legal fees fighting a protracted court battle in which, in a very real sense, everyone came out the loser. Why had the Wiesenthal Center worked so hard and for so long to win the removal of a Catholic convent built there? “Auschwitz is the largest Jewish cemetery – the single largest unmarked human graveyard – in history,” Cooper noted in 2005. Rabbi Cooper was right. A burial ground of one faith must be respected by people of all religions, even if the graves are unmarked. So it was for Jewish graves in Auschwitz. So it was, last year, in Vilnius, where Jews protested vociferously when officials granted permits for apartment construction atop an area believed to be part of Lithuania’s largest Jewish cemetery. So it was with Jewish graves on the Mount of Olives in East Jerusalem. Jews were justifiably outraged when they learned that during the former Jordanian rule, construction on and around the cemetery uprooted and destroyed large numbers of Jewish graves. And so it is, certainly, for a site said to have been the city’s main Muslim cemetery until 1948. In a city sacred to a majority of the world’s population, the bedrock test of the legitimacy of Israeli rule is the degree of respect the Jewish state accords the sacred sites of other faiths. The chosen location of a Muslim cemetery in Jewish West Jerusalem casts doubt on Israel’s guardianship of holy sites. It calls into question not only Israel’s moral claims to ruling all of Jerusalem, it erodes its claims to any of it. It does Israel no honor that Supreme Court approval of the project was based, in part, on the argument that no protests were heard when a the city built a parking lot on part of the cemetery in 1960 ? this at a time when much of Israel’s Arab population was under martial law, and in little position to voice opposition. Moreover, it is not for Jews to decide what Muslims should and should not hold sacred. The Simon Wiesenthal Center has won its day in court. But in doing so, it defeated the very tolerance, human dignity, mutual trust, and brotherhood for which the center stands. What is compassion, what is tolerance, if not the ability to reconsider one’s own actions in the light of the ways in which they may injure others? One needn’t be a jurist, nor an expert in Middle East conflict resolution, to know that Muslims will have zero tolerance for the chosen site of this museum. One need only to be a lover of Jerusalem, and of Israel, to have zero tolerance for it as well. It is not too late. Now is the time for Rabbi Hier and the Wiesenthal Center to embrace the true message of the project. Make the righteous and courageous decision to leave the Mamilla cemetery and build elsewhere. It is not too late. Set an example of respect. Tear down this wall. Move the museum. things have become normality. Noone even thinks about it as something strange. or other sick arguments is just the rethoric of this mindset; “jews above all”. out of “nazis” to find does what comes “natural” in these circumstances; “jews above all”! I loong for the international organization that will look and prosecute jewish terrorists. Who killed the UN official Count Folke Bernadotte?! We all know!